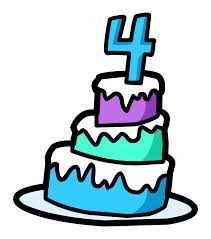 On Sunday, Edible Arts turned four years old. 802 posts, 83911 page views, 556 comments, and still growing, with a book due to be published in January. My first post lamented the fact that philosophers have long ignored food and wine as a worthy topic of conversation. 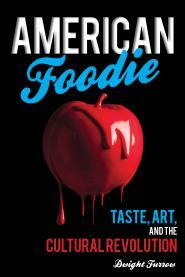 That is increasingly less true since every year some excellent work on taste finds its way to publication. I think we’re making progress. In that post, I mentioned in passing that I had never tasted pressed sow’s ear. That is no longer true. 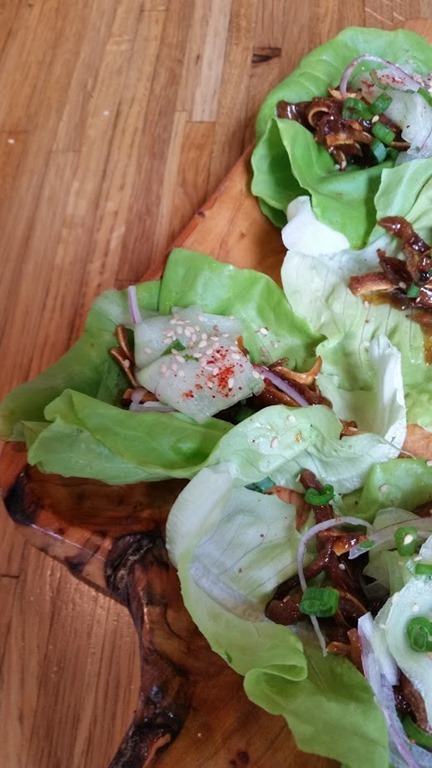 Last week at Husk in Charleston I enjoyed Sean Brock’s Glazed Pig’s Ear Lettuce Wraps with Sweet Marinated Cucumber, Red Onion, and Sea Island Benne. That is progress as well! Could pig testicles be in my future? I spent the rest of Edible Arts’ birthday hunkered down in a campground waiting out the deluge (15 inches of rain in 2 days) that descended on Charleston this weekend. The rest of Charleston’s fine food culture will have to wait until I pass through here again, for New Orleans beckons. A profound thank you to all my readers. In my Three Quarks essay this month—When Is A Meal Like a Van Gogh?—I point out the similarities between painting and cooking. Philosophical discussions of food have seldom been recorded. But thanks to Slate.com, we can now listen in on real philosophers discussing eating? Here is Socrates summing up his long discussion with Thrasymachus on the ethics of picking out your favorite nuts from a snack mix. There is only one true snack mix, the Great Snack Mix in the Sky, which flows endlessly through the vast trough of time. From that mix, every conceivable bite can be composed at once, and no ingredient is ever lacking. But when we eat snack mix, as we have done here today, we partake not of that most pure mix, but of a particular representation of it. These representations may vary, but when we eat them, we are all seeking to know and taste that highest Form, that most delectable reality, the one true mix. Each snack mix experience is another step in the same endless journey, not a discrete moment in time independent of the others. As with any long voyage, some steps may bring you closer to your destination while others may bear less fruit, or pretzels. Some days you may arrive at a snack mix that has been cherry-picked to oblivion, but over time and with persistence, you’ll move ever closer to that Great Snack Mix in the Sky. Indeed, it is this most just pursuit of deliciousness that is the defining characteristic of the Eater. It is comforting to know that when you pick out all the cashews you’re not robbing your friends and family of an experience, but contributing to the quest for deliciousness. Aren’t you glad philosophers have been admitted to the conversation. My monthly column at Three Quarks Daily is up, in which I argue that the Philosophy of Food will save your life. When we think about what to eat, three considerations usually occupy our attention. Will it taste good, is it healthy, and how much will it cost? Unless you are a vegetarian with moral objections to eating animals, eating doesn’t appear to have moral implications. But that is because when we think about food only as a source of nutrition or pleasure we make the ethical implications of food invisible to us. What and how we eat has moral implications because eating creates relationships, and those relationships implicate us the fate of the people affected by our actions. How are relationships created by our food choices? We usually eat with others and, in fact, most social situations are punctuated by encounters with food. Who we choose to eat with gives structure to social life. When we eat we maintain connections to traditions and ethnic or regional identities and our choices influences the persistence and stability of those identities. Furthermore, eating creates relationships with a network of communities and producers that grow, create, and distribute food. Included within that network are relationships with animals, plants, and resources such as soil and water. By creating these relationships, my choice of what to eat will have something to do with how well those people, processes, and resources thrive. Thus, when I choose to eat a lovely English Farmhouse Cheddar, I determine who will receive the money I spend and whose land, resources, and labor will be exploited and whose will not. I also make it more difficult for someone else to consume English Farmhouse Cheddar since I use up a finite resource. Importantly, my choice contributes to determining which processes of food production will flourish and which will not, and this will have a bearing on downstream communities affected by the manufacturing process such as future generations and the availability of resources for them if my choice is not of a sustainable process. So a decision about what to eat is not a solitary action. It is a decision that ramifies throughout a complex network of relationships and it produces good or ill effects depending on the nature of the choice. Why is this relational approach to the ethics of consumption recommended? After all, we could account for the value of our food choices differently, by seeing them as part of an economic calculus or a cost/benefit analysis. What work is the idea of “relationship” doing? The problem with economic calculations and cost/benefit analyses is that the fate of individuals is swallowed up in an abstract number that lacks meaning. Such calculations make our contributions to that network of relationships invisible and thus we are unlikely to take responsibility for them. By contrast, thinking about consumption in terms of relationships puts a face on the impact of our actions. Although my contribution to someone’s welfare via choices about what to eat is small, it doesn’t disappear as it does in a numerical summation of costs and benefits. Although we often don’t know the other people affected by our food choices, we can nevertheless know their vulnerabilities because these are vulnerabilities that all of us share. Our responsibility to others is more visible on the relational approach because the vulnerability of the people we impact is more readily apparent. On the relational approach we must see them as individuals, not items on a balance sheet. But more importantly, by thinking of food choices in terms of relationships we can more clearly see that not all relationships are equal—relationships with people, for instance, are deeper and phenomenologically richer than relationships with animals, plants, or natural resources. Thus, a relational understanding of food choices properly locates value, not in terms of abstractions such as profit or aggregate consumption but in the real lives of actual human beings. 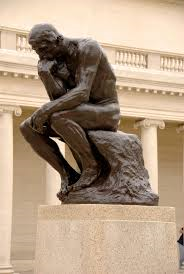 It is a (perhaps unfortunate) fact about human beings that we feel the full weight of responsibility only when our impact is palpable and harm or benefit is concrete. We empathize with individuals, not with entries on a ledger. An ethics of relationships brings that concreteness to our attention. These considerations bring to the surface the problem with industrial food production and expose one of the underlying reasons why people deeply concerned about food often take a dim view of factory farms. Industrial food production makes obscure this relational dimension and makes it more difficult to grasp our food sources and the impact of our decisions. When personal connection is subtracted from our lives we experience that as a loss of meaning. Thus farmer’s markets, CSA’s, artisanal foods and the whole concern with “authenticity” can be seen as a way of recapturing that sense of connection, the ethical relationship, that modern industrial food production lacks. All of us have them. Pleasures we shouldn’t enjoy but we just can’t help ourselves. Food tends to be the most common source although music, film or TV supply plenty of tacky, sophomoric drivel to enjoy. But if we enjoy them why do they make us feel guilty? Why not just give up the guilt? It is a rule never to be violated that any discussion of guilty pleasures must first start with a confession. So I admit to occasionally tapping my foot to a tune from Jack Johnson or, from another era, Neil Diamond. But my biggest guilty pleasure is meat fat. Whenever I trim steaks, chops or roasts I will cut off hunks of fat to cook up into crispy snacks of blubbery, greasy goodness. Of course, there is the pleasure that becomes obsessive and out of control and that leads you to do something genuinely harmful to yourself or others. Self-mutilations of various sorts or obsessively hording whatever turns you on so no one else can experience it—in these cases it is obvious why one should feel, if not guilt, at least remorse or regret. Set these cases aside; they are a different animal. Most guilty pleasures involve no real harm. So why feel guilty? I suspect it is because the guilty pleasures are revealing. They show that we lack self-control because we are unable to maintain a standard that we have set for ourselves. We know we should hate fast foods and silly pop songs but we are too weak to adhere to those exacting yet self-imposed standards. But why not revel in the pleasure? Shouldn’t we feel guilty for not enjoying something as much as we could? It is tempting to say that some things don’t need to have deep meaning. Silly pop songs, campy films, food that is nothing but fat and salt don’t have to conform to standards. We can enjoy them for what they are without worrying about whether they are hackneyed, shallow, or unsophisticated. But no. That approach to guilty pleasure would ruin all the fun. If we let ourselves off the hook, subtracting the guilt from the pleasure, we would not find that satisfying at all—because the guilt is part of the pleasure. Anything you’re told not to do can produce pleasure when you do it even if it is you that is doing the telling. We get pleasure from thumbing our nose at authority especially when the authority is that hectoring, rule-obsessed part of the self that is normally in control. But it is that part of the self that is expressed in the guilt, so the guilt must be there. It’s not holding us back from experiencing pleasure—feeling guilty and standing up to it creates its own frisson, its own thrill. If you didn’t feel guilty about rooting for Dexter the show would lose its appeal. If you didn’t feel guilty about inhaling a Volcano Taco (or three) it would just be a bad taco. So by all means enjoy what you enjoy. But don’t forget that the guilt is part of the equation. Without guilt, pleasure is just pleasure—how boring. 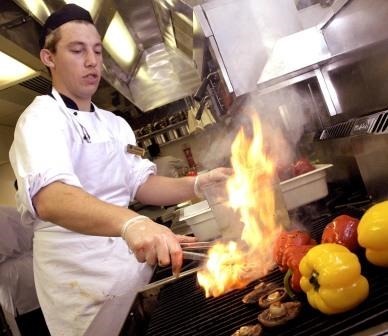 Food Curated has been running an occasional feature called “Why We Cook” in which food writers and restaurant chefs share their motivations for enduring the heat of the kitchen. It is an interesting question. Cooking can be hard, challenging, time-consuming, and is seldom lucrative. Yet most professional cooks decide early in life to wed themselves to their stoves for hours a day. Chef, recipe developer and food photographer Amie Valpone cooks to overcome health challenges. “I cook for my body because its the only thing that makes me feel good”. A gluten, dairy, soy, and sugar free diet imposes lots of restrictions that Amy overcomes through sheer creativity and optimism. And she develops recipes to help others who are challenged by food restrictions. Chef Sung Park, owner of Bistro Petit in Brooklyn, cooks original Korean/French cuisine. He sums up the reason he cooks in one word: “Creation”. The common theme in all these stories is that creativity and self-expression are the primary motivations for cooking. Food has become fodder for the imagination, the means through which an original vision can be articulated in much the way music was for the 60’s generation and painting or literature was for the pre-WWII generations. Cooking has come of age as a new art form. It is the quintessential post- postmodern art—without irony, helpful to others, anchored in the self, frankly pursuing beauty. What about home cooks? Are they driven by the same impulse to be creative and original? 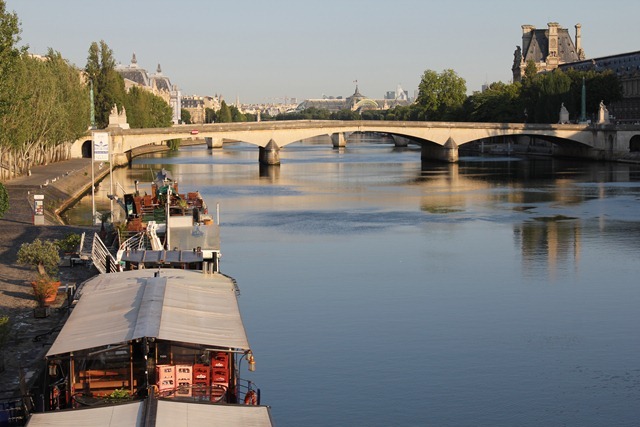 Our romanticized vision of Paris is of lazy mornings floating down the Seine. But this post at Serious Eats reminded me of the darker side of Paris—bone marrow, served as an appetizer at most Parisian bistros. The dish is usually 3-inch sections of beef bone, roasted, so the marrow is rich and gelatinous, sitting upright on the plate, to be spread on toast with plenty of fleur de sel. It is greasy, flavorful, meat fat that spreads like soft butter. It is not a dish I would recommend for delicate palates but had it been served with capers and onions to provide some contrasting flavor and texture, it would have been delicious. Served straight it was a bit overwhelming as an appetizer. I seldom see this dish in the U.S. but I’m sure it will soon find its 15 minutes of fame in the giant, sucking maw that is the eat-it-if-it-is-exotic-until-something-else-comes-along U.S. food scene. 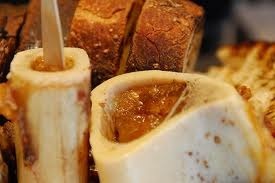 The post at Serious Eats has some interesting service ideas, so perhaps the “bone marrow moment” has arrived. 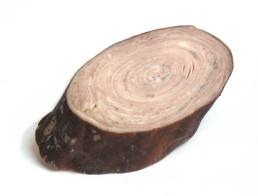 If the American palate becomes accustomed to bone marrow, perhaps andouillette, another Parisian delicacy, will be next. If I might hazard a guess, I doubt we will see much of this on menus in the U.S.